Pragmatism, sagacity and foresightedness form the bedrock of statesmanship. Statesmanship is the most vital trait in a leader to understand, protect and promote national interest. 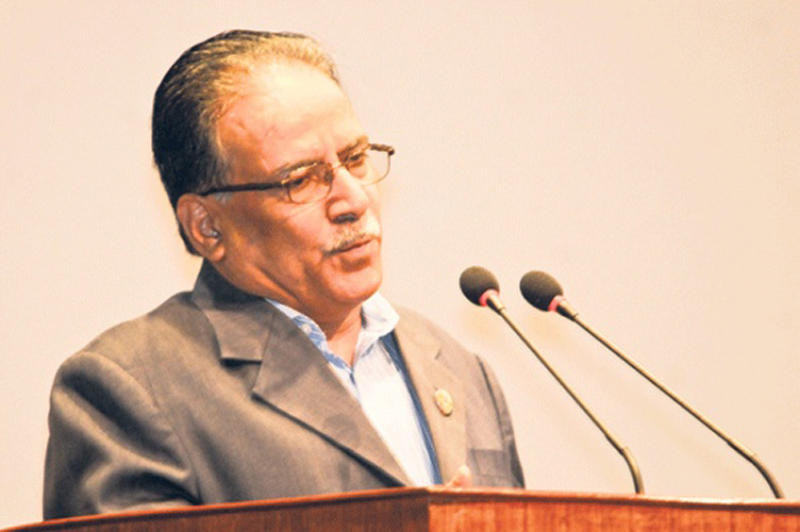 Prime Minister Pushpa Kumar Dahal ‘Prachanda’ displayed this rare trait in amply practical manner when he endorsed and encouraged the Bay of Bengal Initiative for Multi-Sectoral Technical and Economic Cooperation (BIMSTEC) involving Bangladesh, India, Myanmar, Sri Lanka, Thailand, Nepal and the Maldives. The Prime Minister displayed his explicit support to the endeavor on the sidelines of the BRICS-BIMSTEC summit in Goa, India, on October 16th. PM Prachanda’s stand is significant in more ways than one. One, he has reposed trust in the changing geo-political scenario which involves embracing multi-lateral trading systems and multi-polar international relations with due thought but also with alacrity. The days of Cold War are history. Developing countries like Nepal, more than any other nation, need to nurture more than just one or two partners for poverty alleviation, economic growth, inflow of funds, availability of sustainable technology, fight against terrorism and eventual self dependence. No country can or should remain a basket case for ever. Two, by heralding BIMSTEC, our PM has emphasized the importance of continuity in national policy and commitments. The present world is not ready to enter into meaningful and mutually beneficial tie-ups with a country whose policies and international commitments keep fluctuating with change in its governments. Unfortunately, Nepal seems to have set a record of sorts in formation and fall of successive regimes during the last one decade. It’s a sad commentary on our political class. The bold and forthright stand by Prachanda in Goa has raised Nepal’s stature among the comity of nations. It is all the more creditable as it came in the wake of the cancellation of the proposed SAARC (South Asian Association for Regional Cooperation) summit in Islamabad in November. There in props up pragmatism prompted by real politik and divorced from rejected and outdated politico-economic ideologies. It must have been a difficult act to execute for Prachanda given his Maoist background, the presence of the Chinese President in Goa and Beijing’s known fondness for Pakistan. It is no secret that SAARC has not been able to make any headway in its 31 years of existence. The differences between India and Pakistan, largely over the latter’s state policy of exporting terrorism, have not let the regional group comprising Afghanistan, Bangladesh, Bhutan, India, Maldives, Pakistan, Nepal and Sri Lanka achieve even one of its avowed objectives. In fact, the November 2016 summit in Islamabad, Pakistan, has been cancelled as most of the members refused to participate. Leaving politics apart, let us survey some hard economic data. Despite SAARC’s over three decades of existence, the trade within the group is a measly five percent of the total business done by the member states globally. 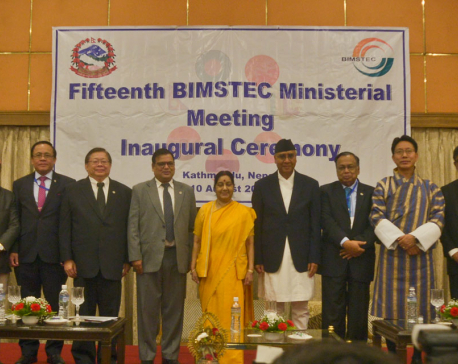 In contrast, BIMSTEC has crossed the six percent mark within 10 years. Moreover, there is immense possibility of economic growth within BIMSTEC as there are no serious geo-political differences among its member states. Myanmar’s intra-group business is 36.14 percent of its total business. The figure for Nepal is still higher at 59.13 percent. No more statistics, I feel, is needed in favor of boosting ties with BIMSTEC. There is further talk of strengthening BIMSTEC by involving some south-east Asian countries like Malaysia, Laos, Cambodia, Vietnam and Singapore. Special observer status is envisaged for Afghanistan. Even in the group as it stands today, India and Thailand offer attractive business destinations for other members. The free trade agreement (FTA) which is slated to be inked sometime in 2017 will enhance the business potential immensely. Given Nepal’s reasonable geographical contiguity with many of the BIMSTEC members, the country stands to gain enormously if we display initiative and flexible business attitude in keeping with our national interest. But will we? 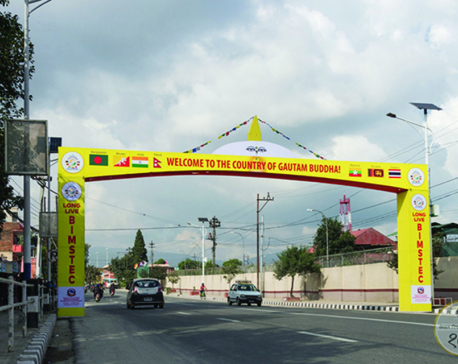 Bhutan has made excellent use of grants and investments from India to develop its hydro-electric projects. It is self sufficient in power and is making money by providing India assured supply of energy. We, on the other hand, have been squabbling amongst ourselves over the issue for decades. In the process, we have starved Nepal of much needed power supply and also revenue from India. Few are willing to believe that merely financial issues are the obstacle here. It is the case of a frozen mindset. Let us not forget that China and India, who fought a war in October 1962, conducted a joint military exercise this October, in fact on the very date when the Chinese incursion had happened 54 years ago. Despite their differences, the two countries did business worth US$ 72 billion in 2015. By the way the balance of payment was heavily loaded, in fact four times, in favor of China. It’s time that the scales fell off our eyes and we turned realistic. Prime Minister Prachanda has shown the way. Will we follow? The author is poet and writer and also Chairman of BLC and Basant Chaudhary Foundation.